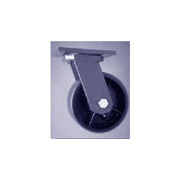 The products in the Fairbanks Caster catalog are available through Service Caster Corporation. 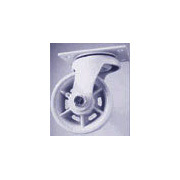 Casters and wheels for light and medium duty, sanitation containers and heavy duty industrial applications are offered. 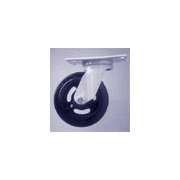 Zinc plated Fairbanks Casters from the 23-33 Series feature a double ball race on a swivel. 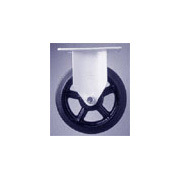 Series N22/323 Fairbanks casters are constructed with a heat treated 4" X 4 1/2" top plate. 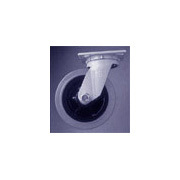 The unit consists of a weldless swivel fork, and double ball raceway with unitized lower raceway orbital cold formed 3/4" king pin with nylon grease seal on swivel upper ball raceway. The Fairbanks caster model W26-W36 meets ASME B56.11.1 industry standards, and features a double ball raceway with unitized lower raceway orbital, plus cold formed 3/4" king pin. Upper raceway has nylon grease seal. The heat treated top plate is 4 1/2" X 6 1/4". Heat treated forks swivel and are weldless. 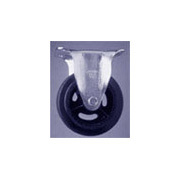 Fairbanks casters in the Series 24/34 are built with weldless one piece swivel forks, and a 3/4" orbital cold formed kingpin. This unit features a double ball raceway.